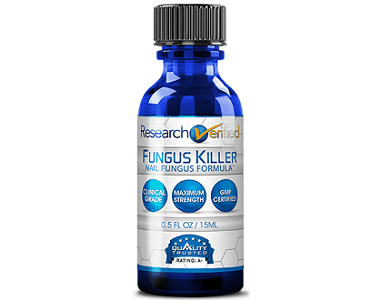 Read our review below about Anti-Fungal Liquid. This product offers relief to fungal infections such as ringworm and athlete’s foot. It also relieves burning, itching, cracking, scaling, irritation, discomfort, soreness and redness that often accompanies these conditions. It lastly also conditions, soothes and moisturizes the skin. Maximum strength is offered without the need of a prescription. 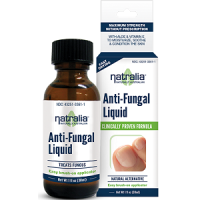 What’s In Natralia Anti Fungal Liquid? The only active ingredient in this product is Undecylenic Acid. This fatty acid treats any fungal infections such as jock itch and athlete’s foot by preventing the growth of any fungus. Other inactive ingredients are Tocopherol, Tea Tree Oil, Water, Aloe Barbadensis Leaf Juice, Hydroxypropyl Methylcellulose, Eucalyptus Globulus Leaf Oil and Isopropyl Alcohol. After a bit of research we found that even though undecylenic acid is definitely a key ingredient when it comes to optimal antifungal benefits, there are a few other important ingredients that relieve itching and penetrates deep into the skin to ensure that infections do not return, such as Jojoba, Lavender, Sweet Almond and more. As Anti-Fungal Liquid does not contain any of these ingredients, it might affect the product’s effectiveness. 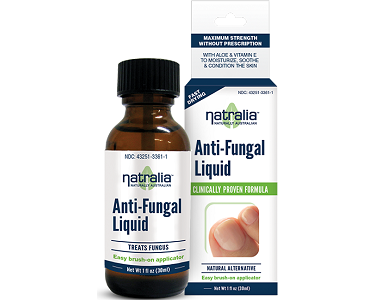 How Do You Use Natralia Anti Fungal Liquid? The affected area should be cleaned with warm water and soap and dried thoroughly before applying a thin layer of the Anti-Fungal Liquid. This should be done twice daily. This product can be bought for $11.56. It doesn’t seem like the manufacturers offer a guarantee if you are not satisfied with your purchase. We found this quite worrying as it might mean that there are some concerns about how effective the product really is. When looking at customer reviews we noticed that there are many clients who were completely happy with their purchase and mentioning that the fungus was eliminated completely. There are also clients mentioning that they haven’t noticed any difference after using the product for four weeks. After reviewing Anti-Fungal Liquid we found that it might be an effective anti-fungal treatment as it contains Undecylenic Acid. This fatty acid treats any fungal infections such as jock itch and athlete’s foot by preventing the growth of any fungus. We also noted that other important ingredients such as Jojoba, Lavender, and Sweet Almond are not to be found in this product. These ingredients play an important role when it comes to relieving itching and ensuring that the infection does not return. The product’s effectiveness could, therefore, be affected. We also found it quite concerning that Natralia doesn’t offer a satisfaction guarantee. This makes us wonder how effective the product really is. Although there are many positive customer reviews for this product stating that clients are completely happy with their purchase as fungus was eliminated entirely, there were also clients who complained, mentioning that they haven’t noticed any difference at all after using this product for four weeks.